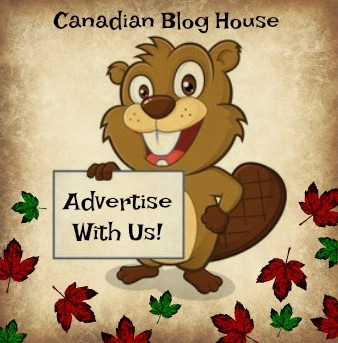 Canadian Blog House was invited on a media trip to experience the beautiful region of Prescott-Russell, local businesses, and a tour of Popsilos. All opinions are our own. 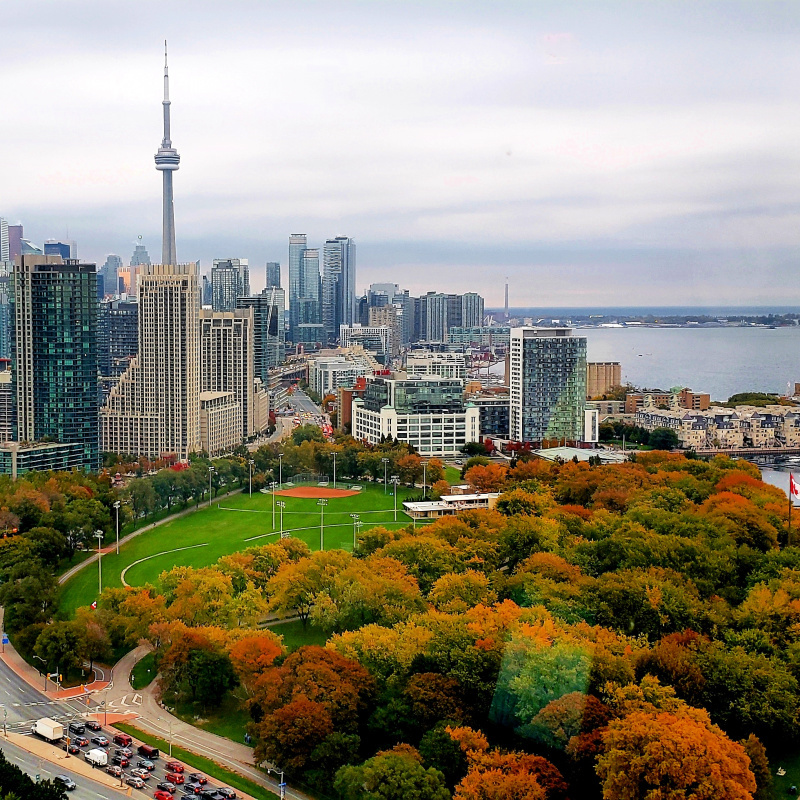 Summer is the perfect time for a great Canadian road trip. 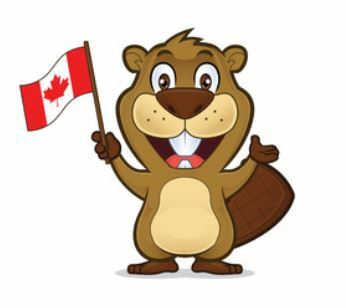 If you live in Eastern Ontario, South Western Quebec, or even Northern New York, there’s no better time to experience a road trip through the beautiful united counties of Prescott-Russell. 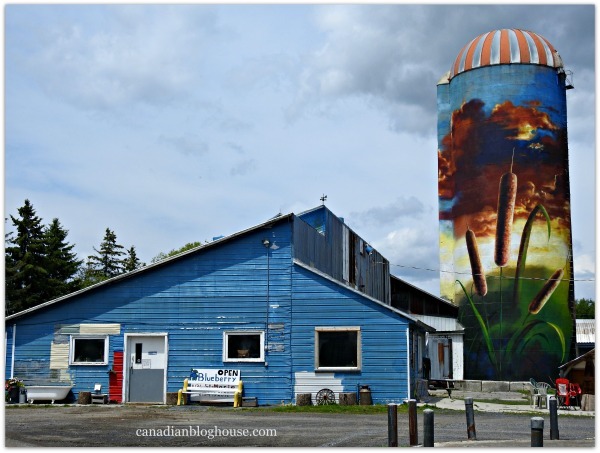 In celebration of Canada 150, and featuring spectacular murals painted on 5 different silos on farms in Prescott-Russell, Popsilos is bringing together the urban city, and the rural farm, in a very unique way! 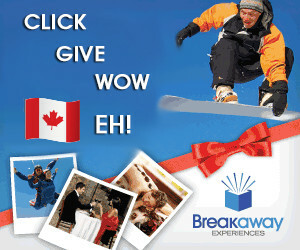 A first of its kind in Canada! The united counties of Prescott-Russell are located just a short drive east of Ottawa. Known for its beautiful farm lands, great trails and forested areas, Prescott-Russell is home to some of Ontario’s quaintest small towns, including Clarence-Rockland, Embrun, Russell, Hawkesbury, St. Albert, and Vankleek Hill. 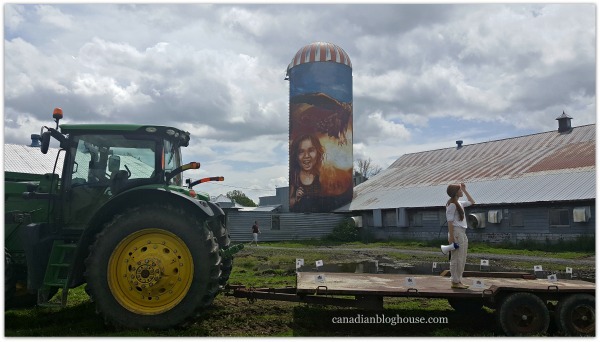 It was in Embrun, at the farm of Michel Dignard and Jeannette Mongeon, that we attended the official opening of the Canada 150 Popsilos art murals tour route. Local musicians got our toes tapping, local food vendors provided us with snacks enjoy, and a presentation was made that created excitement for what we were about to witness during our bus tour. 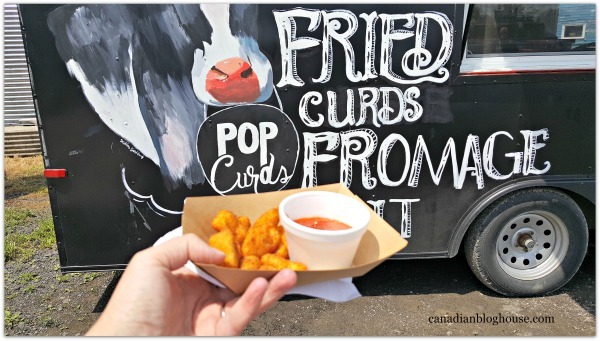 Speaking of local food vendors, if you love the thought of deep-fried cheese curds (and what Canadian doesn’t?! ), PopCurds are a must! 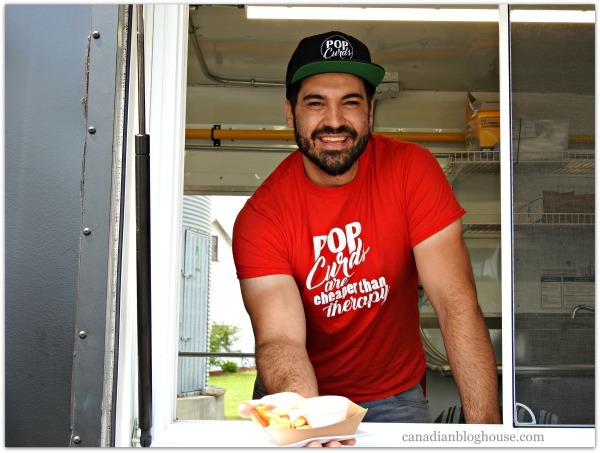 In business just since September 2016, PopCurds is set to make Canadian cheese curds fans very happy. Recently signing a contract with food distribution giant, Sysco Canada, owner Marc Gagne has a winning recipe in his hands. Remember the name PopCurds! They are delicious! 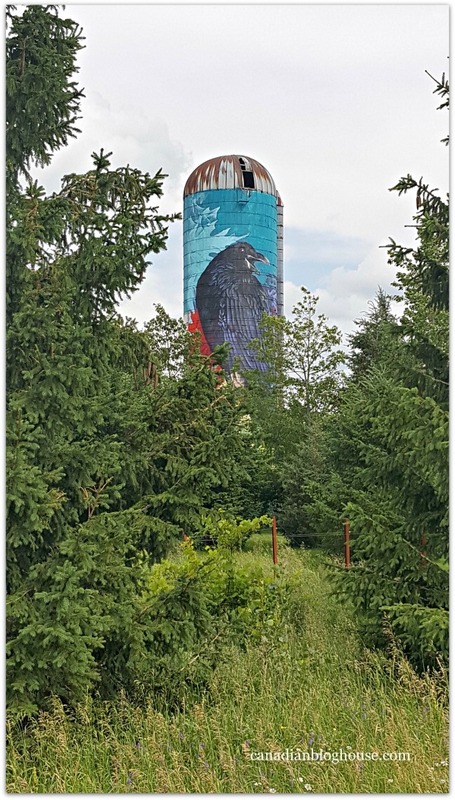 Of course, the first painted silo we saw was at the Dignard-Mongeon farm. Created by Jennifer Larocque and Mathieu Mault, Popsilos provides visitors with a memorable road trip experience in Eastern Ontario, and adds beauty to an existing picturesque landscape. Jennifer’s passion for this project was evident during her speech to the group. 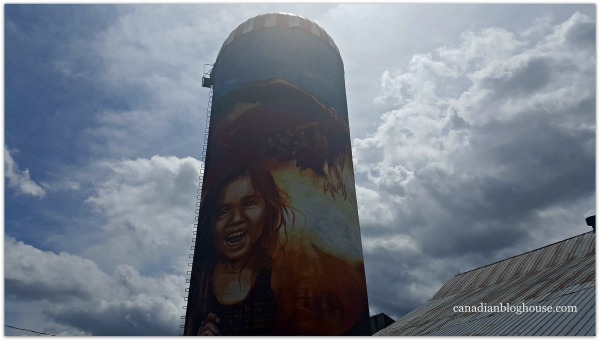 Putting together Popsilos was no doubt a monumental task for Jennifer, Mathieu, local entrepreneurs, and the team of artists from urban art agency, Ashop (Co-Producer of Popsilos). Be sure to check out Ashop, an artist-run collective situated in Montreal, Quebec. They have created some pretty fantastic projects! 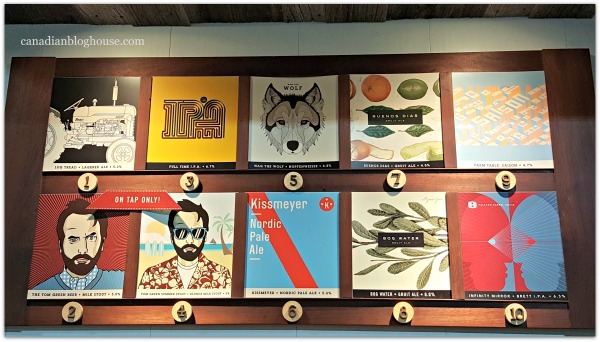 You don’t need to be an artist to understand the challenges that the Popsilos artists encountered during the creation of each piece of artwork. Artists were required to work in cherry pickers in order to be able to reach the great heights of the silos. To gain a proper perspective of their work in progress, frequent trips up and down in those cherry pickers were required, so that artists could view their art from afar. 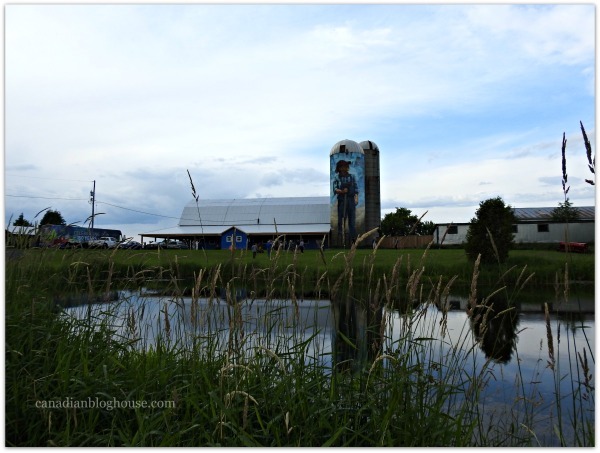 The second stop on the Popsilos tour was at the Ben-Rey-Mo Ltd Farm in the town of St-Albert. This silo, highlights the St-Albert Cheese Co-operative, a community of farmers who control the production and sale of their products through the co-operative. 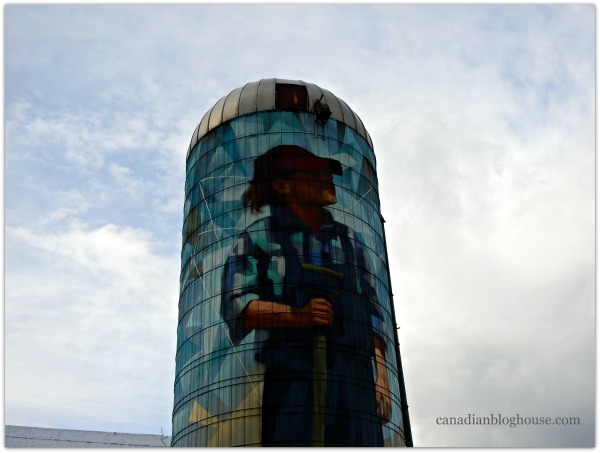 Situated on this “proudly Canadian” dairy farm, the St-Albert silo is an eye-catching mosaic of images depicting this rural Ontario farming community. No stop in St-Albert is complete without a treat of some St-Albert cheese! I had the pleasure of visiting the St-Albert Cheese Co-operative a couple of years ago, and I was thrilled to be back. 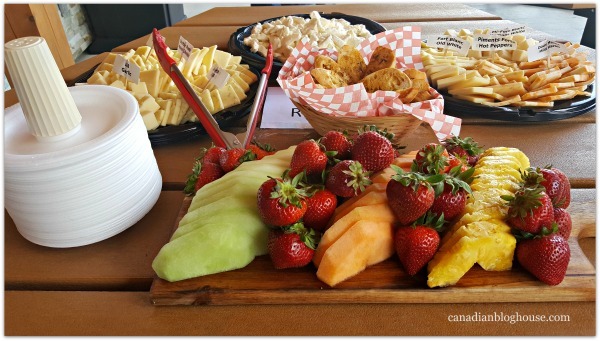 This is just a small portion of the delicious spread provided to our group at the St-Albert Cheese Co-Operative. 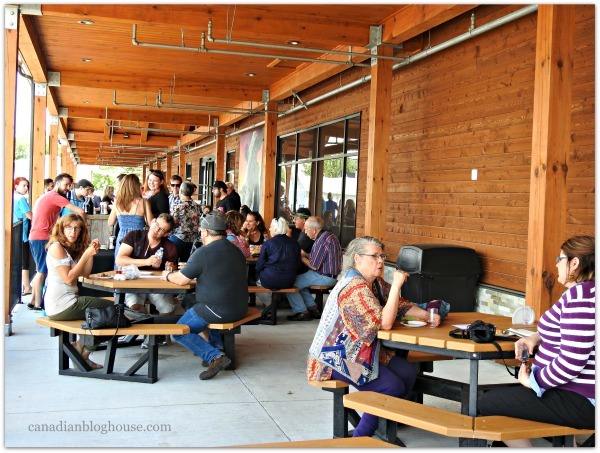 The St-Albert Cheese Co-operative is the perfect place to take a break while driving the Popsilos art tour. Grab a refreshing drink, a few bites of squeaky fresh cheese curds, and a scoop of refreshing gelato or ice cream! Bring a little extra cash for the boutique. You’ll find a huge variety of St-Albert cheeses, and many local treats and gourmet items. 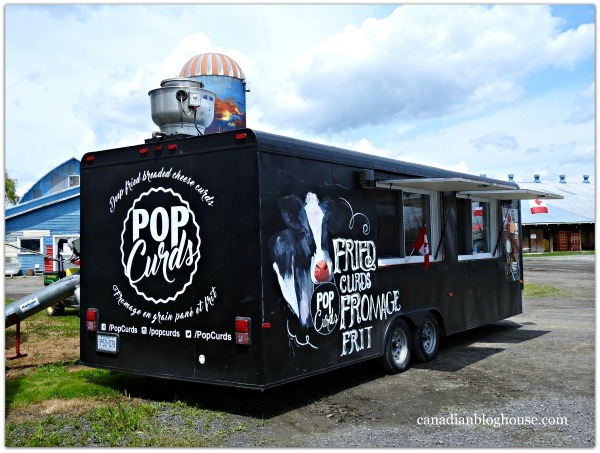 Of course, for those craving fries, gravy and fresh cheese curds, the on-site restaurant serves up some of the most delicious varieties of poutine in Eastern Ontario! 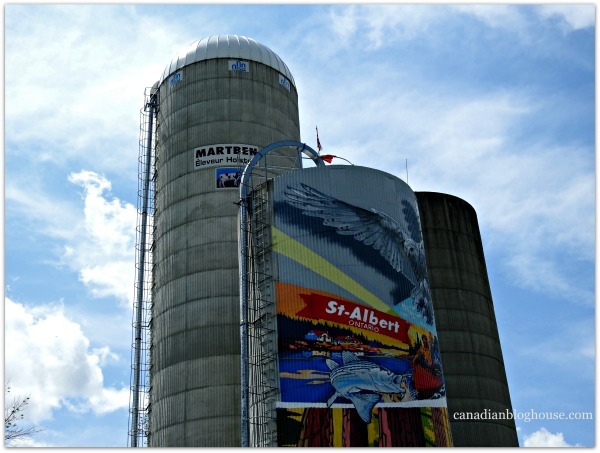 A great supporter of the local farming community, the St-Albert Cheese Co-operative is a proud partner and “champion of local” for the Popsilos art tour. 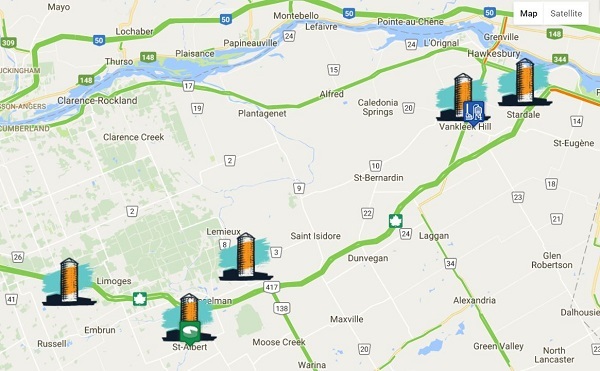 Casselman, Ontario, was the locale for the third stop on our Popsilos tour. 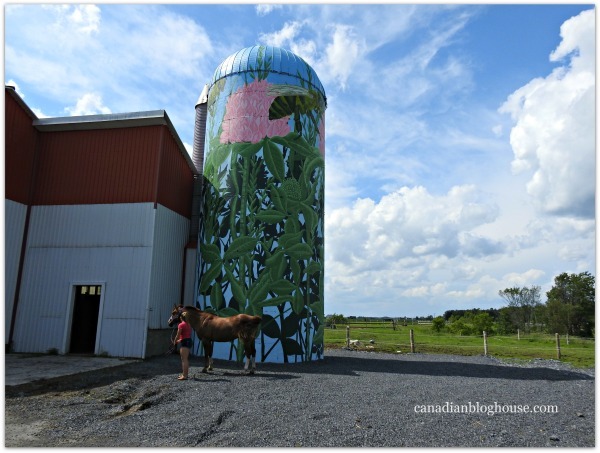 With a nod to “the environment” this silo, at “Horses by Hannah”, is gorgeous. Situated on a serene horse farm, with a featured image of a beloved honey bee, pink flowers, and blue sky background, this silo is one of my personal favourites. 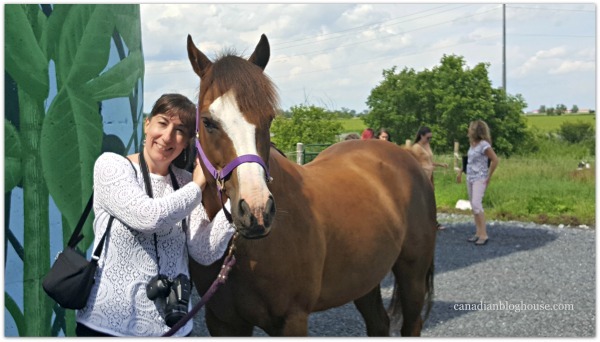 I got a little side-tracked when this furry beast stole the show from the silo, at Horses by Hannah farm. 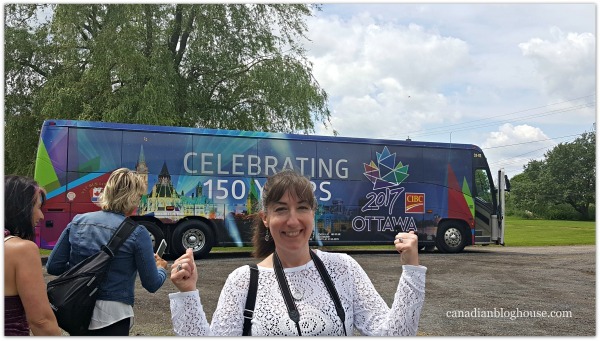 I couldn’t resist a photo-op beside this beauty! 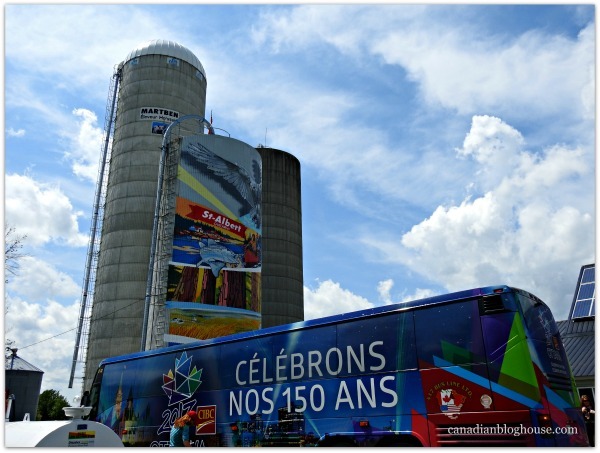 Diversity was the theme at our next Popsilos tour stop, just outside Vankleek Hill, Ontario. 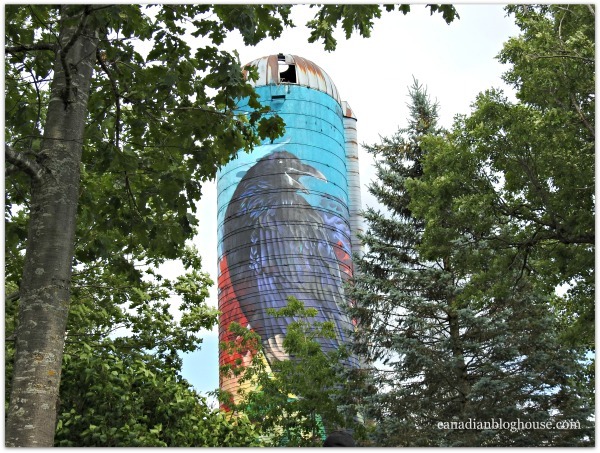 This silo, located at Vankleek Hill Vineyard, features a stunning painting of a raven. Engaging owner, Marty Kral, took our group on a walk around his property, making sure to show us the best places to get perfect views of his silo, for optimal photos. 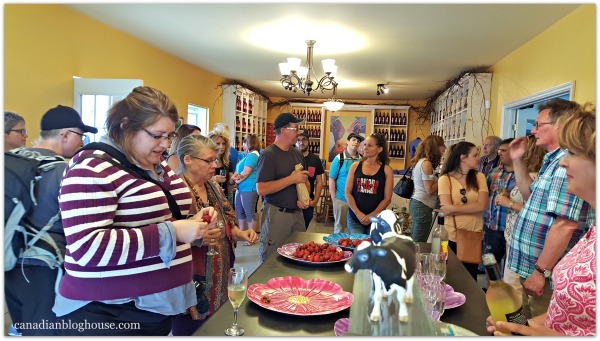 Until I had traveled on this Popsilos tour, I had never heard of Vankleek Hill Vineyard. 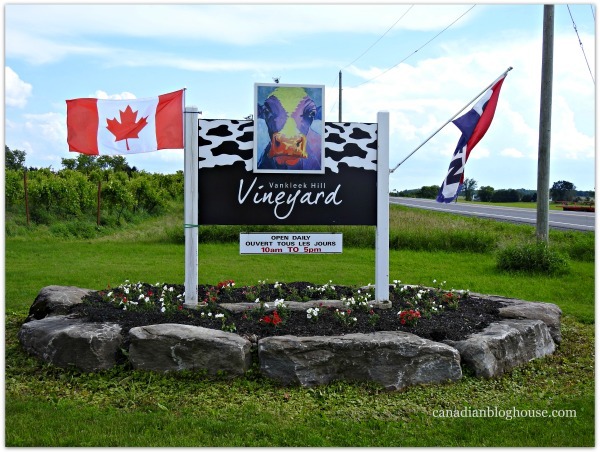 Located in a very picturesque area of Eastern Ontario, this vineyard is a treasure in Ottawa’s own backyard, so to speak. Vankleek Hill Vineyard produces cold-climate, organic wines, featuring Frontenac and Servengy grapes. The animal lover in me adores their purple cow logo! 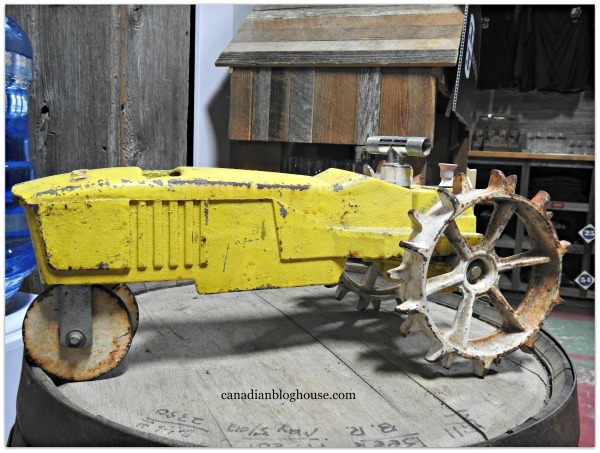 I thoroughly enjoyed exploring the Vankleek Hill Vineyard shop. 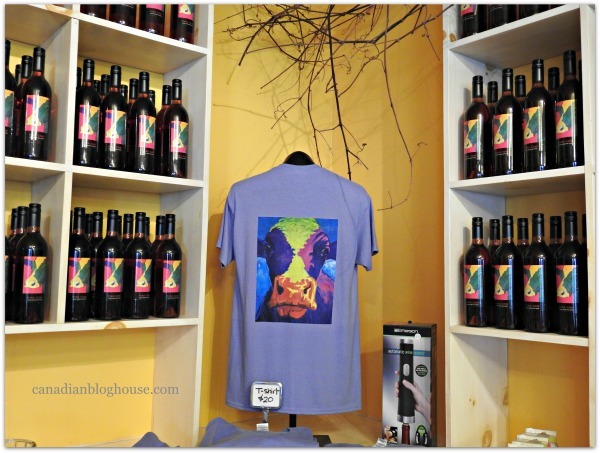 What’s not to love about pretty cows, great wine (yes, we got to sample the wines! ), strawberries, and unique gifts?! Photo ops were everywhere on the Vankleek Hill Vineyard property! 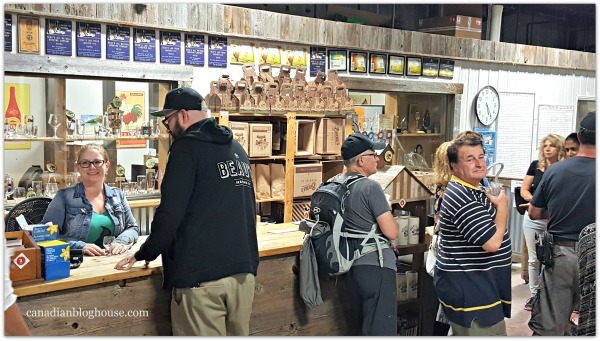 If you’ve never been to Vankleek Hill, Popsilos gives you one more great reason to visit this town, best-known for producing one of Ontario’s tastiest selection of craft beer – Beau’s Brewery. 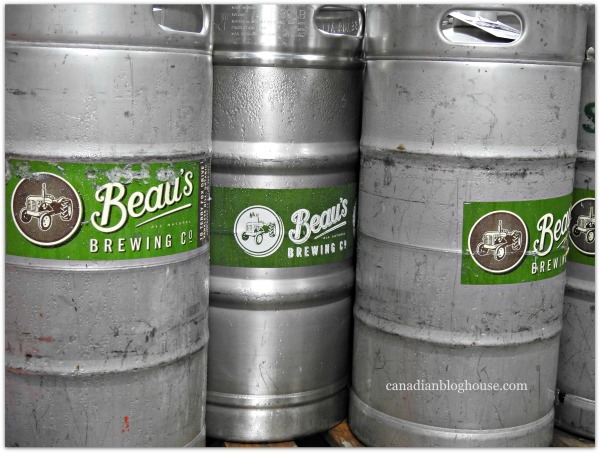 As you know, we are big fans of Beau’s Brewery, having featured their Lug Tread beer here on the blog last summer. 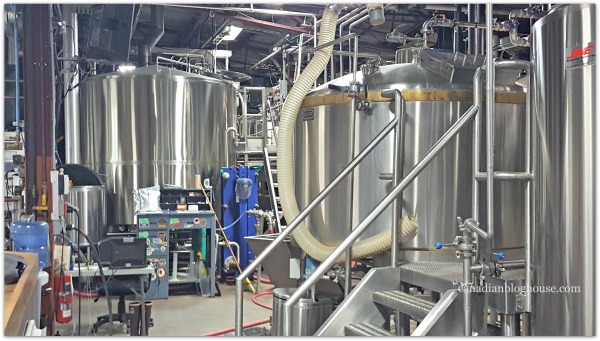 At Beau’s Brewery, they offer guests taste-testing of a selection of their beer, as well as a terrific (free) brewery tour, so you can see a little bit of what goes on behind-the-scenes at Beau’s. Unfortunately, we had limited time at Beau’s, so we will definitely have to go back. Back to Beau’s, back to Vankleek Hill Vineyard, and back to the town of Vankleek Hill! I had no idea it was such a beautiful town. We need to go back and explore! 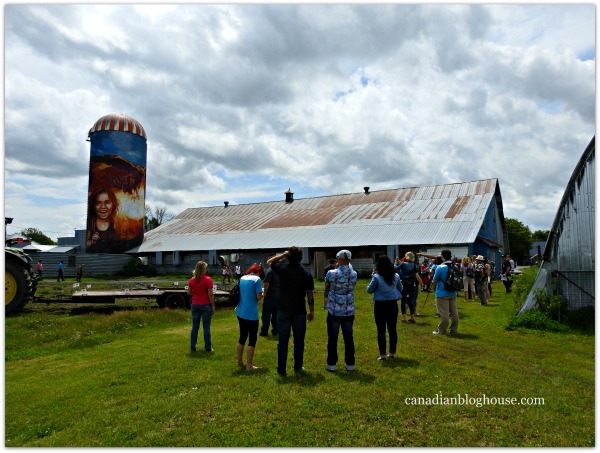 Our final stop on the Popsilos art tour was at Ouimet Farms Adventures. 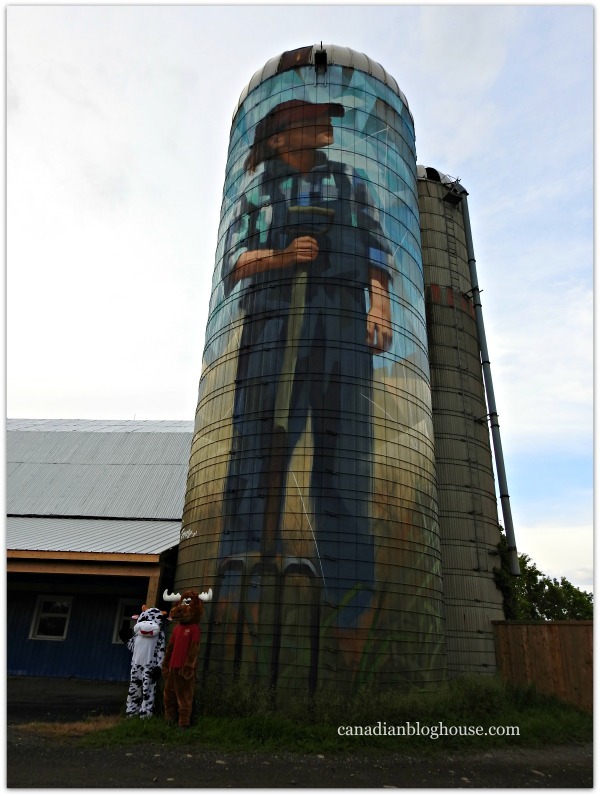 The theme of this silo is “Youth”, and features a magnificent mural of a young farmer with his pitchfork. 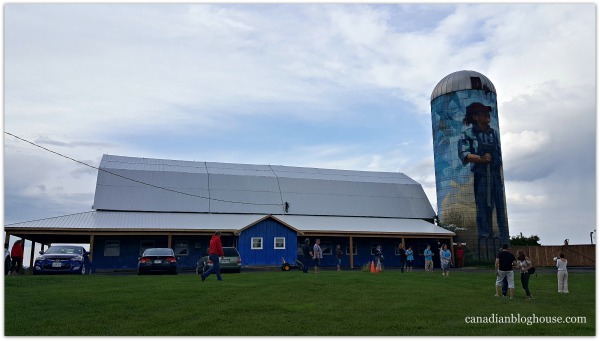 This farm is definitely “youth” focused, Here at Ouimet Farms Adventures, you will find fun for the whole family with “Ontario’s Most A-Maze-ing Corn Maze”, farmer’s market, pumpkin patch, and now…Popsilos! 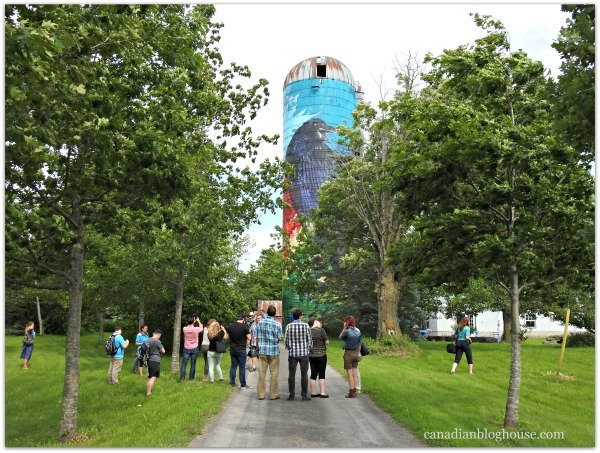 Our time exploring the Popsilos art tour was a terrific success. I hope we get the chance to do it all over again before summer ends. Not only did I enjoy Popsilos but, I loved exploring a whole new (to me) area of Eastern Ontario, that I had never visited before. 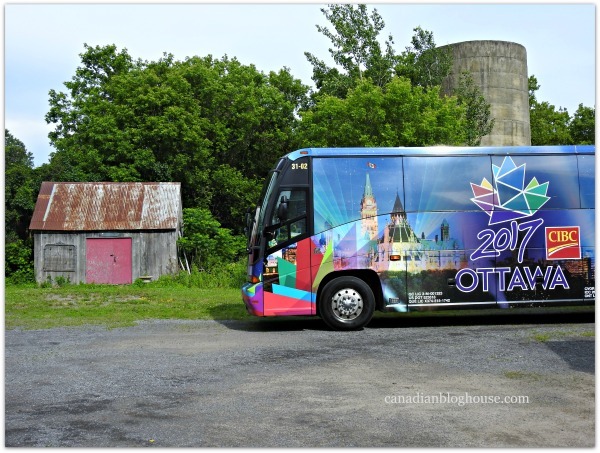 Topping off a fantastic day on the Popsilos art tour, were these fabulous local musicians who provided on-board entertainment for our group during our travels on the Ottawa 2017 tour bus. This enthusiastic duo was highly entertaining! 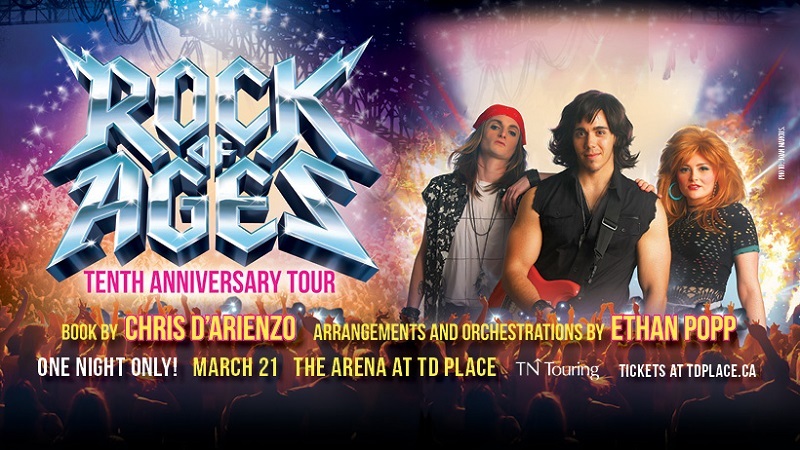 Interested in seeing if these fabulous musicians are a fit for your event? 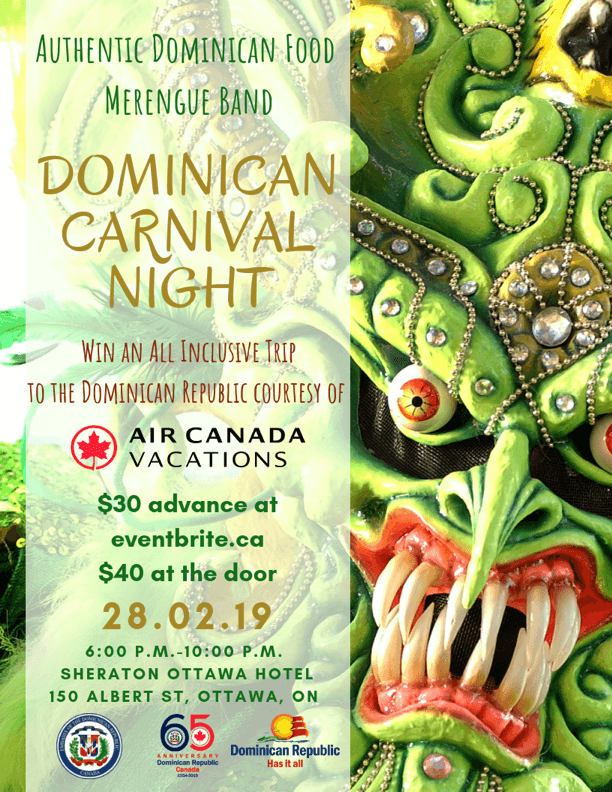 Contact Nicolas Doyon at nidoyon@gmail.com! 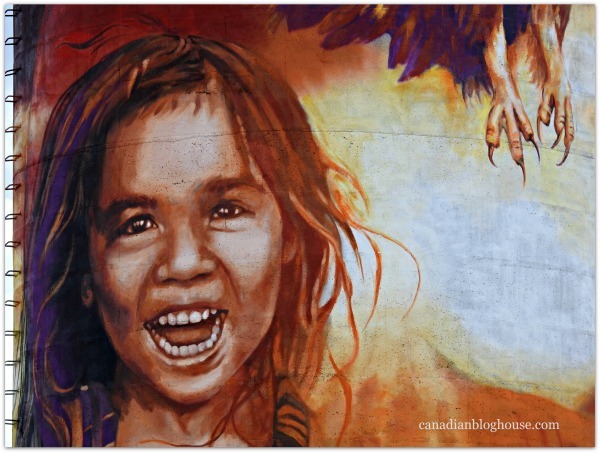 For more information about the Popsilos art tour, the farmers, and partners, be sure to check out the Popsilos website. 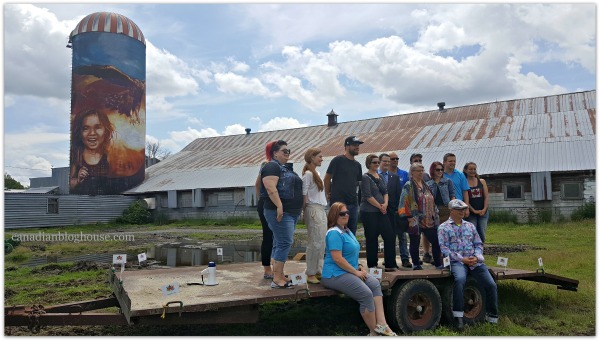 A huge thank you to Jennifer Larocque for the invitation to join the inaugural Popsilos art tour, and to all the Popsilos partners and volunteers for their wonderful hospitality! I enjoyed the tour via your blog. There are some amazing artists out there!!! Thanks Marilyn! Yes there are. Hope you get a chance to see it!